Inside: Find the top 30 activities for preschoolers you can do right now. 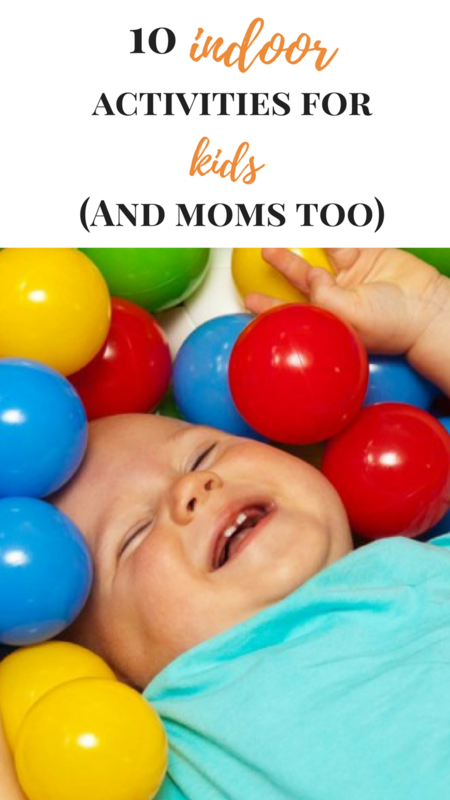 This list is packed with fun crafts, playful learning activities, and indoor places to take your toddler to get some wiggles out. When the weather is yucky outside it’s critical for me to have tons of ideas to keep my preschooler and toddler busy so we don’t go stir crazy. Anyone else? Here I have compiled a list of 30 activities for preschoolers you can do right now. 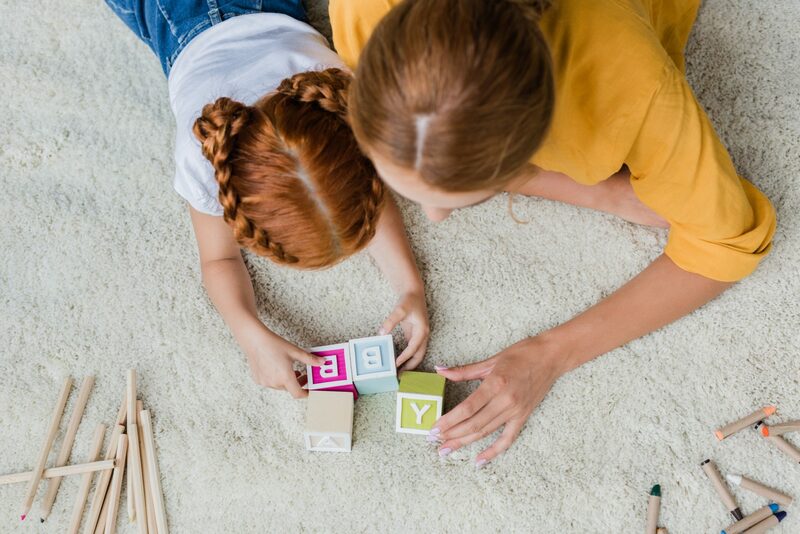 This list is packed with fun crafts, playful learning activities, kids activity videos, and indoor places to take your toddler to get some wiggles out. Building letters is so much fun with magnetic tiles. We printed off a template with all of the letters and had a blast creating each one. This is a great activity for spatial awareness and literacy. Double win! Click the link to get the full details on building letters video demonstration. 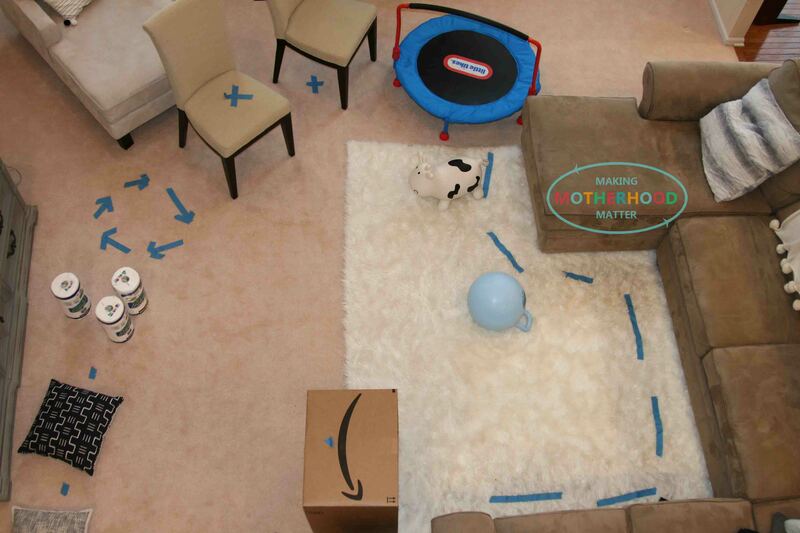 This indoor obstacle course for preschoolers is the best way to have fun when it’s yucky outside. We had so much fun gathering items from around the house like pillows, chairs, painters tape, a box, mini trampoline and a bouncy cow to create our course. Click the link to get the full details on the indoor obstacle course and video demonstration. Do you know what happens when you add raisins to sparkling water? For this simple science experiment, all you need is sparkling water and raisins. And it’s so much fun! Click the link to get the full details to see what happens when you add raisins to sparkling water and video demonstration. This sensory bin is so much fun, you’ll wonder why you haven’t tried it before. Click the link to get the full details on this DIY sensory bin for preschoolers and video demonstration. This is a great way to spend time with toddlers. Not only is this fun a fun way to practice fine motors skills, but it’s edible too! I make my kid-friendly needle with a plastic straw. And use that to make threading the cereal onto the strong easier. Click the link to get the full details on how to make cereal bracelets and video demonstration. Shaving cream writing is a super fun way to practice writing letters, numbers, names or sight words. Simply add some shaving cream and food coloring to a baking sheet. Then, use a paint brush to make the letters, numbers or words. Grab the printable alphabet template here. Click the link to see the full video demonstration for shaving cream writing. With only two steps, this sensory dough is easy, squishy, and SO much fun. First you add about a cup of shaving cream to a bowl. Next, you mix in corn starch and food coloring until the consistency is doughy. Click the link to get the full details on this sensory dough and video demonstration. By isolating the lines needed to write letters, this sensory activity is a fun way to practice writing. Preschoolers can mix shaving cream and paint in a ziploc bag. Then, use the printable pre-writing skills activity template for of writing lines to draw the lines with a Q-tip. Click the link to see the pre-writing skills activity video demonstration. These printable Sesame Street Puppet crafts are so fun and simple to make. First, print the puppet templates for Elmo, Grover, Cookie Monster or Oscar the Grouch. Next, Color them. After that, cut them out. Finally, glue on the pieces and play! Click the link to get the full details on the Sesame Street Puppets. With one base, you can make five preschool activities for exploring bubble foam including literacy, sensory, science, art and more. To make the bubble foam base that can be used for each of the following activities, you’ll want to add three tablespoons of bubble bath to 1/4 cup of water, and liquid watercolor (or food coloring). Next, use a mixer on the highest setting for 1-2 minutes. Then, stir the mixture after a minute to get the water from the bottom mixed in. Keep mixing until it becomes a dense foam. Click the link to get the full details on the five preschool activities for exploring bubble foam. When my kids get sick, I like to have an easy list of low-stress, high-fun activities we can do indoors. These are perfect for spending quality time and having some fun. Sometimes, it’s just nice to get out of the house, even when the weather is yucky out. Here is a list of 10 places to go with preschoolers. If Starbucks and McDonalds had a baby, these coffee and play places would be their kid. Ok, so the coffee isn’t as good as Starbucks, but it’s coffee. Plus, the kids get to run around in a giant padded jungle gym. Win-win. Let your little ones jump and bounce around for hours at a trampoline park. Typically, they offer a schedule with options based on the age of your children. Pools and swim schools typically host an open swim time during the week. Kudos to you, if you can find one with a heated pool. If your kid likes to climb on things, the play place at the mall is all the rage. Plus, the floors are almost always padded, so even the littlest of little’s can join the fun. Most gymnastics places host an open gym time, during the week. This is an excellent way for kids to get sweaty and have some fun. Local museums are a great place to walk around and see new things. Bonus– the kids might even learn something. If you check the website ahead, you will find that some museums offer free or discounted admission on certain days of the week. The library is a great place to keep kids entertained in the winter. In addition to having plenty of reading material, they have a variety of classes for children of all ages to participate in. Take a stroll and enjoy a few hours staring at swimming creatures floating by. Maybe, grab some lunch afterward. You can make a whole day out of this one. Dance class. Karate class. Music class. You get the idea. Sign your kid up for a class that he or she would enjoy. Set up a play date with a friend. It still counts as getting out of the house, and you don’t even have to change out of your yoga pants unless you want to. Adapted from the article I originally published on Her View From Home. P.S. 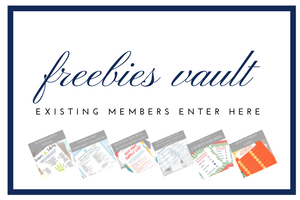 If you liked this post, you may also like Over 100 Easy Kids Activities That are Surprisingly Fun. Awesome list of activities! I need to utilize play dates more! Thank you. We love play dates!